To start, we will pre-treat your tile and grout with an alkaline detergent. 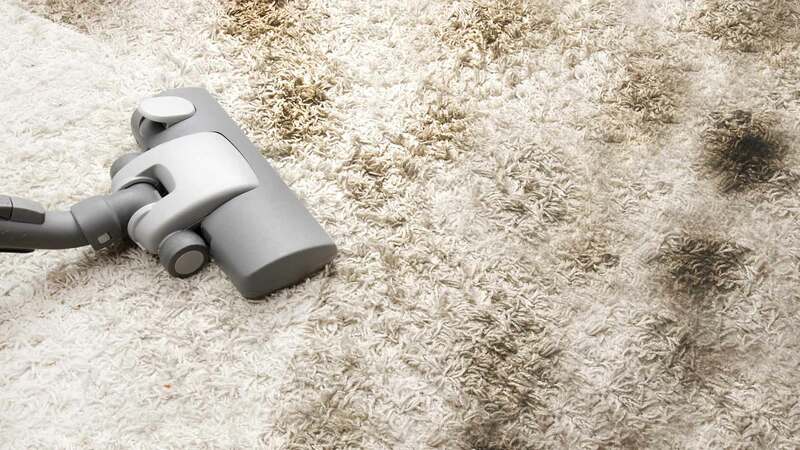 This cleaning solution will function to break down set-in dirt and make it easier to remove. Next, we will scrub the tile and grout by hand if needed to loosen ground-in soil. Now comes the most important step: the high pressure rinse to remove detergent, dirt and debris. Once this rinse is completed, your tile and grout will be shiny and free of stains. After this, we will set up a high-powered fan to dry the clean surface quickly. The drying process typically takes about an hour. Once the tile has dried, you can either choose to call it a day or have a tile and grout sealant applied. We highly recommend this additional step because it will make your tile and grout less susceptible to future stains, spills and soiling. In turn, your tile and grout will be easier and less costly to maintain! Depending on the size of the area to be cleaned, tile and grout cleaning can take anywhere from a few minutes to a few hours. If you decide to have sealant added to your tile and grout, please keep in mind that it will take an additional hour or two after cleaning is complete. Furthermore, it’s best to avoid walking on the sealed surface for 30 minutes after sealant application to ensure that it has dried properly. Reach Out to Learn More About Our Tile & Grout Cleaning! Would you like to find out more about how our professional tile and grout cleaning can save you time and frustration? Call Kapllan Cleaning at 610-203-0491 today. And while you’re at it, be sure to visit us on the web for a free estimate! We can’t wait to hear from you!